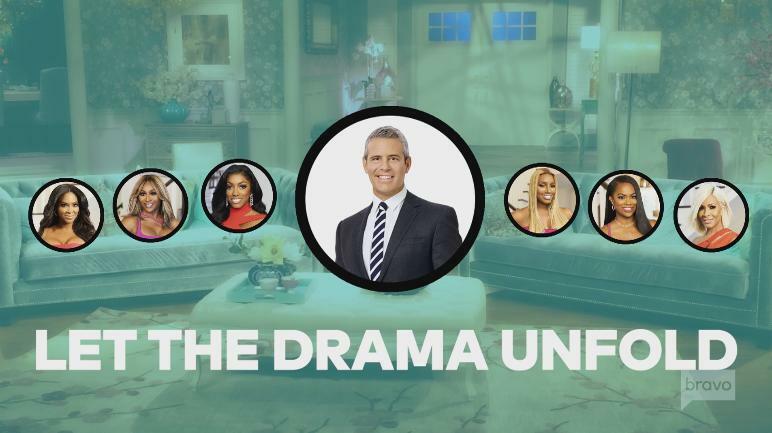 iRealHousewives | The 411 On American + International Real Housewives: Details Inside The Real Housewives Of Atlanta Season 10 Reunion Taping! 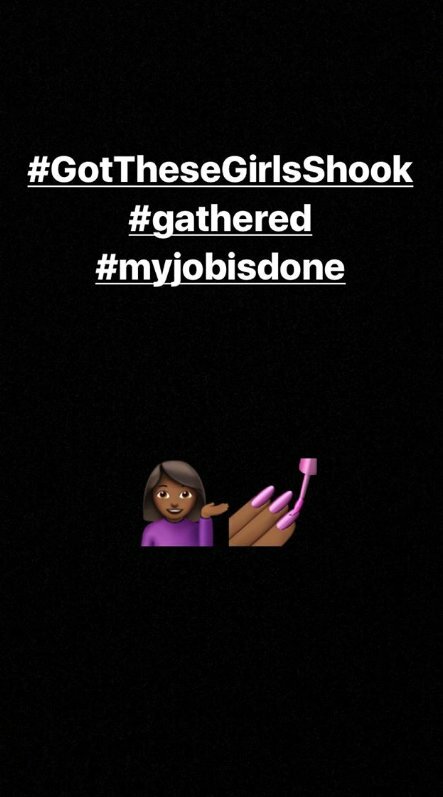 Details Inside The Real Housewives Of Atlanta Season 10 Reunion Taping! The Real Housewives of Atlanta Season 10 Reunion was filmed last week, on Thursday, March 15. 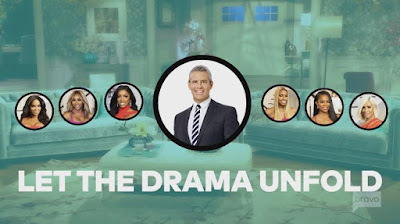 Reunion host and Real Housewives executive producer Andy Cohen and some of cast took to social media and shared with fans a sneak peek on how things went down. Also, Bravo revealed the reunion seating and multiple sources spilled the tea on what exactly went down and more. Check it out below! As always, reunion host Andy Cohen is seated right in the middle. On one side, we have Porsha Williams, Cynthia Bailey and Kenya Moore. Then on Andy's other side, there's NeNe Leakes, Kandi Burruss and Sheree Whitfield. Meanwhile, it's been revealed that when Kim joins the ladies, Porsha moves to the left and Kim sits to the left of Andy. Apparently, Marlo Hampton and Eva Marcillewill also make and appearances, and when they join the ladies they each sit to the right of Sheree, according to Love B. Scott. According to Radar Online, drama kicked off in the reunion special when Kandi Burruss and NeNe Leakes slammed Porsha Williams. As for Kenya Moore, she defended her secret marriage to Marc Daly and refusal to film with him. In which her husband did not show up for the reunion taping. “Marc didn’t show up for filming,” the source told Radar Online. However, the biggest shocker is that Moore is apparently expecting her first child to husband Marc Daly and allegedly broke the news during the taping of the RHOA Season 10 reunion special that she's pregnant, according to Love B. Scott. Apparently, the former Miss USA is set to be due before the end of the year. Apparently, Kenya Moore went after Marlo Hampton. Love B. Scott reports that Moore faced off with Hampton over comments Marlo made about Kenya marriage, accusing her of having a fake husband and earlier comments about her mother. 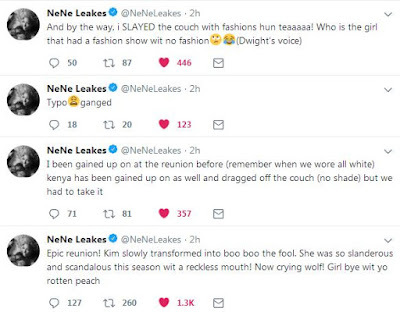 Th gossip site also claims that Moore dropped a bombshell when she allegedly revealed that Hampton tried to blackmail NeNe with text messages from Leakes' past relationship with John Kolaj. You may recall, NeNe was linked to John briefly during Season 4 of the Bravo hit reality show while she split from husband Gregg Leakes. Apparently, Marlo got John drunk, he ended up at her house and she gave him a massage. During that encounter, Marlo took screenshots of explicit conversations between John and NeNe. Marlo allegedly threatened to share those messages with Gregg. It's unclear what Marlo tried to gain from NeNe at that time, reports Love B. Scott. Allegedly Zolciak’s fight with Moore resulted in her to storm off the reunion stage. “Kenya wasn’t afraid of Kim and she wouldn’t back down. She just kept attacking her. Kim held her own as long as she could,” the insider told Radar Online. “But Kim eventually had enough, and she walked off the stage in tears in a typical Housewives move,” the insider continued. Kim's daughter Brielle took to Twitter and came to her mom's defense after revealing how "disgusting" it is that the RHOA ladies "attacked" her mom during the reunion taping. "I can’t even express the anger I’m feeling right now. It’s absolutely disgusting how mean grown women can be. I wish nothing more than for the cast of RHOA to find happiness and peace. They need it more than anyone. I’m sick to my stomach," she tweeted. Brielle continued to tweet by sharing the following: "I will never understand the mentality of women aged 40+ attacking another woman for hours on end. I wish they would channel that negativity and anger for someone who is positive, loving, caring, beautiful! Etc. into something positive. Maybe then they’d be happy"
"It truly breaks my heart for all that my mom has to go thru. There’s not another woman on earth who could take being attacked and ganged up on for hours like she did today. There’s only 2 reasons people hate u. You’re either a threat to them or you have something they don’t.," she tweeted. Then Kim replied to her daughter's tweet and wrote, "The jealousy was real today on that couch at the reunion." 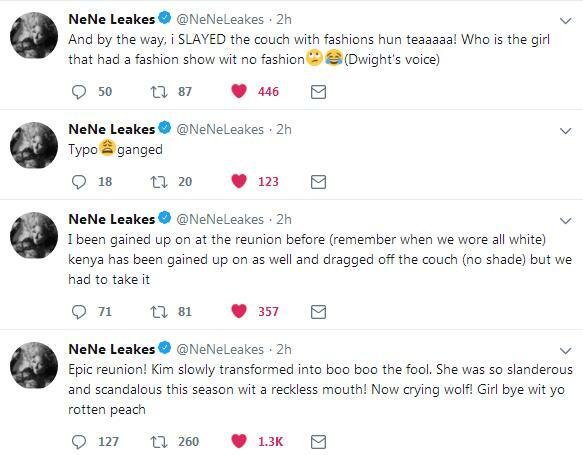 Meanwhile, NeNe Leakes also took to Twitter and shaded some her of co-stars as she teased about the RHOA Season 10 reunion drama. "Epic reunion! Kim slowly transformed into boo boo the fool," she tweeted. "She was so slanderous and scandalous this season with a recjless mouth! Now crying wolf@ Girl bye wit yo rotten peach." "I been [ganged] up on at the reunion before (remember when we wore all white) Kenya has been [ganged] up on as well and dragged off the couch (no shade) but we had to take it." "And by the way, I SLAYED the couch with fashions hun teaaaaa! Who is the girl that has a fashion show with no fashion (Dwight's voice)," she tweeted.